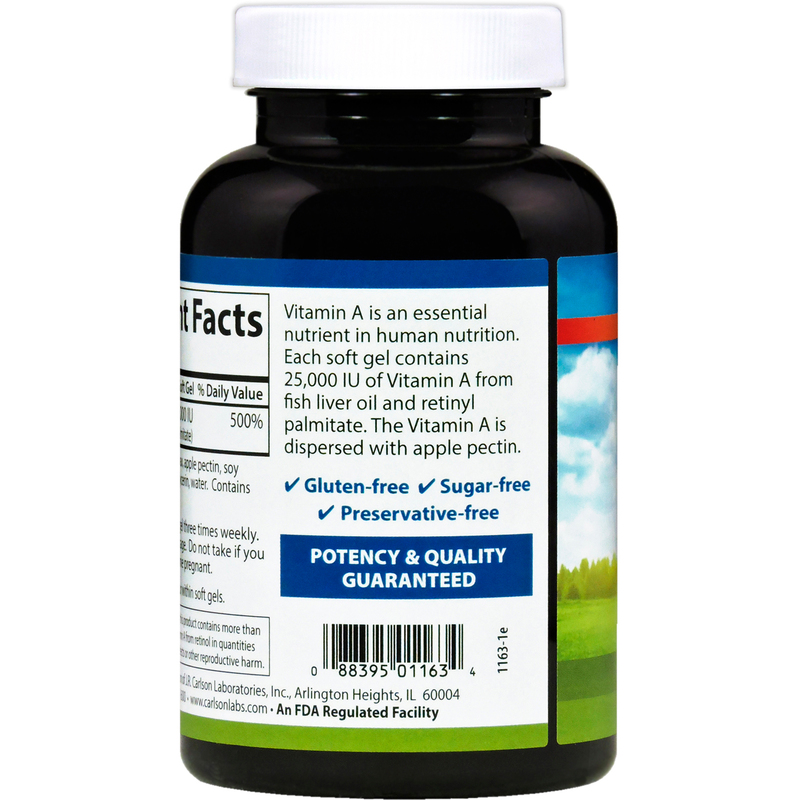 Vitamin A is an essential nutrient in human nutrition. 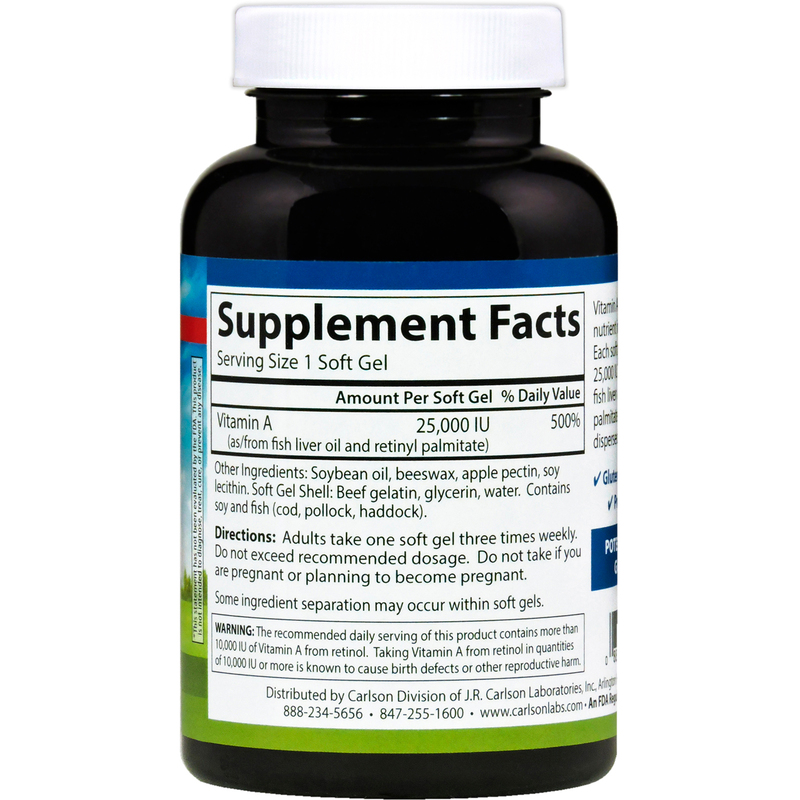 Each soft gel contains 25,000 IU of Vitamin A from fish liver oil and retinyl palmitate. 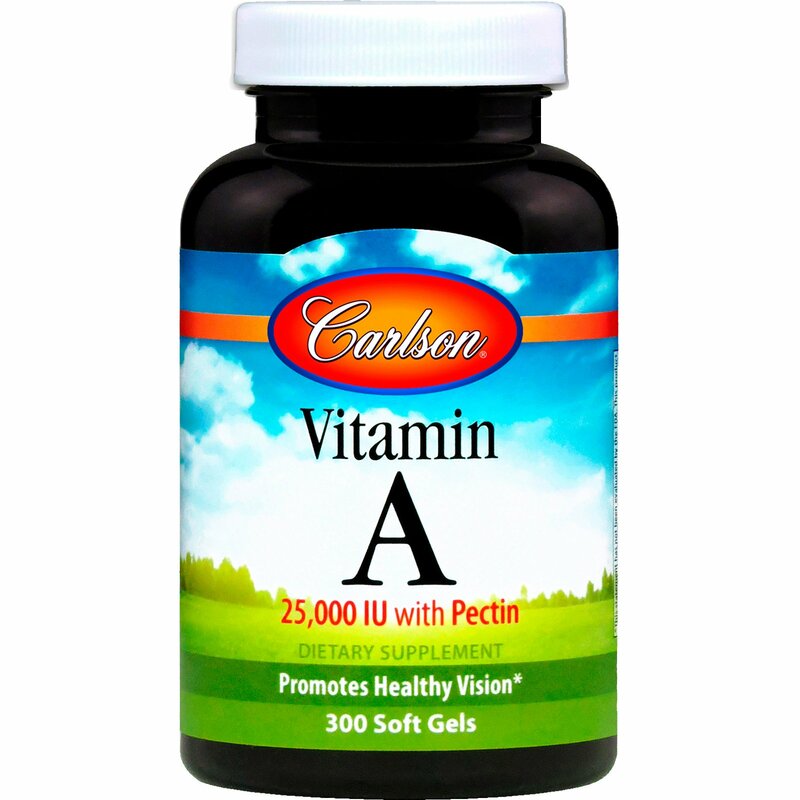 The Vitamin A is dispersed with apple pectin. Soybean oil, beeswax, apple pectin, soy lecithin. Soft Gel Shell: Beef gelatin, glycerin, water. Contains soy and fish (cod, pollock, haddock). Some ingredient separation may occur within soft gels.